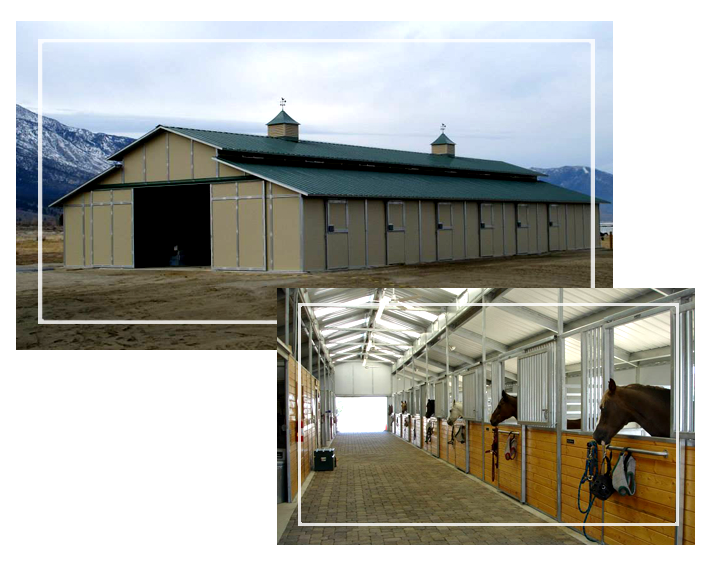 Triple M Construction has been building homes, custom barns, shops, garages and post frame structures in Sparks, Nevada for over 30 years. We pride ourselves on quality work, excellent customer service, and structures that are built to last. Looking for quality construction services for the Sparks and surrounding areas? Whether you are looking to build a new home or to renovate a certain part of your house, or build a commercial or agricultural structure, Triple M Construction in Sparks, NV is the construction company for you! For residential we build everything from custom homes and additions to kitchens and baths. We also build and renovate flooring, patios, pool houses, windows, roofs and more. For agricultural you will want to find a company that is the right fit for you and your goals which can make all the difference. Whether your new agricultural building is for livestock or storage, you will want a contractor who understands your business and knows that communication is critical to the success of the project. Triple M Construction will handle all the construction phases of your facility. For our commercial construction services our goal is to provide a high quality product while striving to control costs, meet tough deadlines, and provide ample supervision on all jobs. Triple M Construction believes in a team approach to all projects while always keeping the clients best interests in mind. Triple M Construction is committed to consistently deliver value on each and every project. All of our work is fully insured. Learn more about us by visiting our About Us page today. If you have any questions or concerns, please feel free to call us any time by visiting our Contact Us page. Established in 1987, Triple M Construction is a General Contractor specializing in commercial, agricultural and residential projects including interior/exterior remodels, design/build, ground-up construction, barns, garages and other modular structures. Our clients consist of mostly agricultural entities and our goal is to provide a high quality product while striving to control costs, meet tough deadlines, and provide ample supervision on all jobs. Triple M Construction believes in a team approach to all projects while always keeping the clients best interests in mind. Triple M Construction is committed to consistently deliver value on each and every project. We are confident that we will deliver a product that will not only satisfy your needs, but will exceed your expectations. We look forward to and appreciate any opportunity to work with you on current or future project ventures. Copyright ©2019 Triple M Construction. All Rights Reserved.